Voted one of the best technological devices of the 21st century, Apple's iPad is truly a remarkable tablet and with the iPad 3 just released, these devices will become even more integrated in our society. 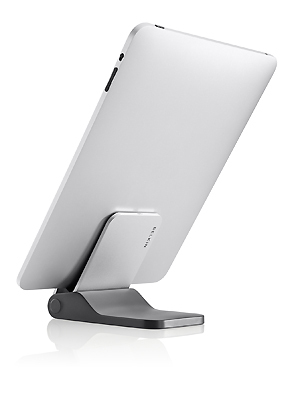 However as a tablet, it can basically know only one position and that's either lying flat or leaning it on something. 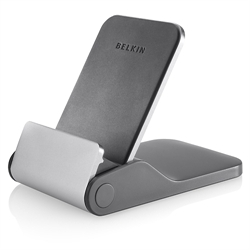 This is where the Belkin FlipBlade comes into the picture which basically holds your iPad upright. Simply by pushing the button up on the FlipBlade, this device will slowly unfold into an upright position. Then you just put your iPad into the FlipBlade and then you can go about your everyday iPad business. Whether you're using your iPad via portrait mode or landscape, this product is extremely well built so your device is nice and safe in the FlipBlade. It should be noted that once opened, the viewing angle of your iPad will be around 45 degrees which is perfect. It's also great for using the iPad on a desk in order to surf the net, watch movies or more importantly, read eBooks. When you finished, you simply just take your iPad out of the device and then close it up. It's also quite small so it can then either fit in your pocket or iPad case. 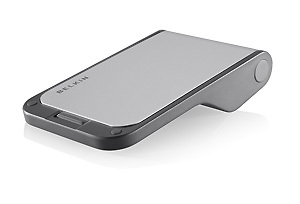 Add in a 1-year warranty and it's these little clever products like the Belkin FlipBlade that make your iPad experience considerably more user-friendly.